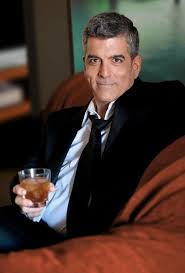 Espresso Club aired an advertisement in December 2014 that uses a George Clooney look-alike actor called David Siegal. The actor leaves a shop selling coffee machines with a paper bag in hand. Nespresso, who has an international campaign for their coffee capsules that features George Clooney sued to obtain a preliminary injunction against Espresso Club. The charges included well-known and egistered trademark infringement, unjust enrichment, encroachment, copyright infringement, passing off, interfering with fair trade and unreasonable behavior. The judge, Magen Oltavia threw out the request, arguing that the chances of Nespresso eventually prevailing were slight. At worse, this was a strong hint and parody against the competitor with the intent of producing a more popular low brow competing product. There was neither copyright nor trademark infringement. In the advertisement the graying actor wears a suit and sunglasses and makes purchases in a shop selling coffee machines, but during most of the advertisement, the words “The actor is not George Clooney” appear in the top left hand corner fo the screen. Clooney is not a brand. Real people are not protected characters and are not copyright protected. None of Nespresso’s marks include a likeness to Clooney. The judge did not consider that the actor had even a resemblance to Clooney, a man in an white open necked shirt, suit and sunglasses would not necessarily be associated with Clooney and the words “the actor is not George Clooney” is sufficient to avoid any possibility of confusion. Clooney promotes different goods over time and the CEO of Nespresso in Israel concurred the brand is Nespresso and not Clooney. The Judge accepted that the actor was intended to recall Clooney and was providing a broad hint parodying Nespresso’s campaign, but this was far from copyright infringement or trademark infringement. The defendant claimed to be parodying Nesspresso by offering a cheaper less elitist alternative where the machine is provided for free and one only buys the capsules. The advertising campaign was designed to promote a legitimate competing product. The grounds of passing off and copyright infringement were also rejected. Judge Oltavia stressed that Clooney plays himself in the advertisement, not a character created by Nespresso and protectable under copyright. Clooney would be unlikely to transfer rights in himself to Nespresso giving them lifetime +70 years rights to himself. The advertisement was not based on a specific Nespresso advertisement. Using attractive looking people for product branding is standard practice in advertising and not the monopoly of Nespresso. Nesspresso does not have rights in this case that override the right to free speech and creativity of Espresso Club. Selling machines cheaply or giving them away and then charging through the nose for consumerables such as ink or toner cartridges or coffee capsules is an established business model. Courts do not necessarily enforce registered designs for the compatible cartridges as there is a retrofit clause that prevents machine manufacturers from forcing customers to purchase original replacement parts at any price. This is a matter of public policy. In general, Israel is pro-competition so this ruling is not surprising. Who are the lawyers representing both sides?